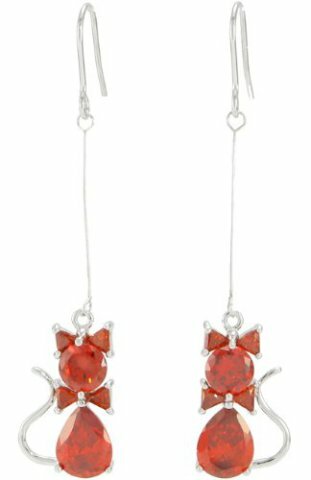 These sparkly Crystal Cat Earrings dress up any outfit. At first glance, these earrings may look like average hanging crystal earrings, but their triangular "ears" and bowtie and curled silver tail turn them into a subtle feline fashion statement! 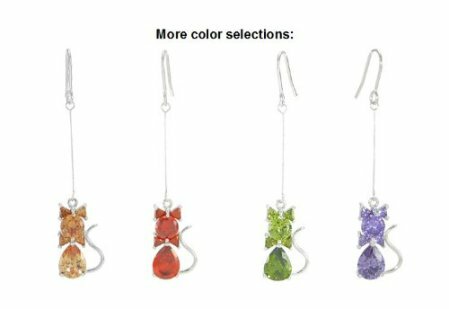 These adorable earrings are 1.75 inches long and are available in four colors: peach, red, green, and purple. For more informaiton, click here.